Canadian Pickers is a television show in the Reality genre starring Sheldon Smithens and Scott Cozens. The tv show first appeared on air on 2011-04-12. 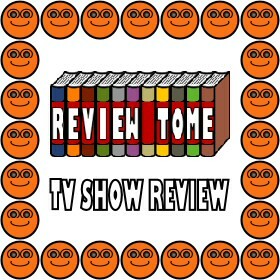 Our users found the overall impression of this television show to be Boring. The tv show's official site can be found at www.canadianpickers.com. This show is such a bore! I can't stomach to watch it. They have such dull personalities. American Pickers is the show to watch. Canadian Pickers is overall boring, dull, pointless, and any word that describes terrible. This show should be cancelled. They should be embarrassed to try to be like Mike and Frank. No comparison by far. I recommend this show if you need something to put you to sleep. I initially felt that this new "Pickers" show would be entertaining...especially since I thoroughly enjoyed American Pickers..boy was I wrong. The show initially starts off interesting enough, just like the American show you have 2 individuals on a quest to find hidden treasures that they can turn around and flip for a tidy profit. However, the problems begin instantaneously...the two hosts are horrible and boring. I found them extremely irritating and decided I just could not stand to watch them. The people on the show are also dull and not as exciting as the crew from American Pickers. Overall this show is a big pass...don't waste your time.